between the 60s and the 70s and were carried in completely different conditions (different rules and regulations, obsolete environmental and labor laws) as well as in the total absence of traffic. 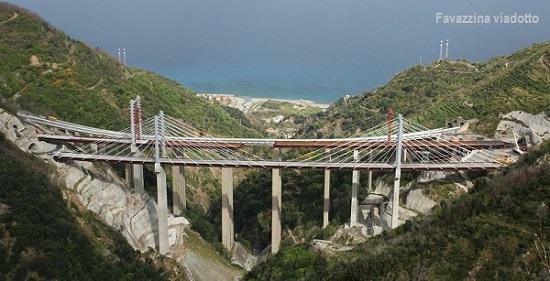 Spanning from Salerno to Reggio Calabria, the new A3 Motorway, together with the rail tracks High-Speed Line, is the biggest infrastructure investment being carried out in Italy. 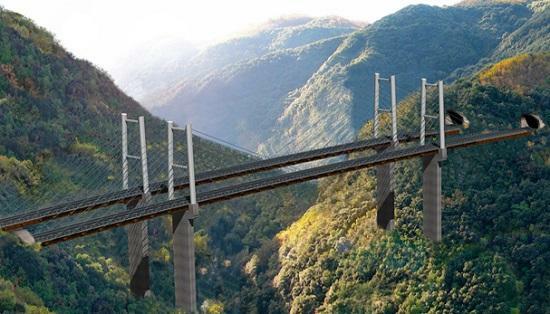 The construction of the new A3 is a financial, engineering challenge and represents a strong commitment to *legality. The New York Times went even further calling the A3 the “dark side of the recent Italian history”, the symbol of failure. Too many times, with excessive lack of care some have called the A3 as the “the longest body of evidence in Italy”. At a closer look, the A 3 is not a dishonor or a worrisome issue for Europe. Rather it should be a pride of Italian ingenuity within a large European transport strategy. Controversies and common places do not match facts. 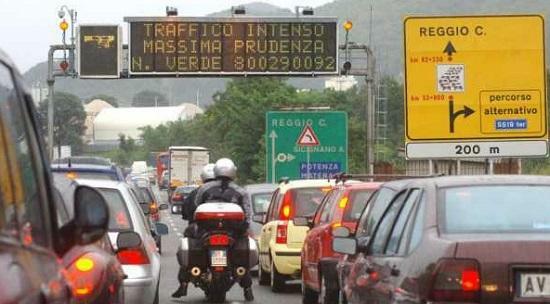 The A 3 is already an Italian infra-structural success. Few simple data allow us to understand the significant engineering and technical effort and the results already achieved. Few people know that the A3, although it runs in the South of Italy is effectively a true mountain highway. 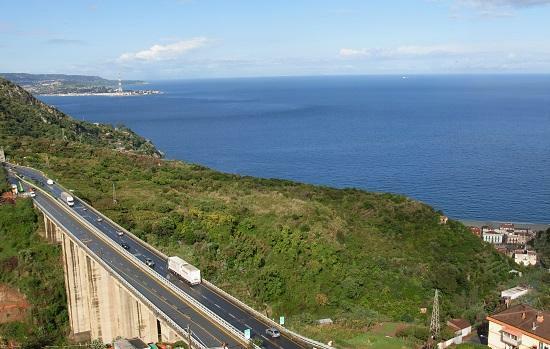 The motorway runs for over 200 kilometers in mountainous areas with a challenging elevation profile and a rapid succession of tunnels and viaducts, crossing three regions breaking the isolation of several Southern territories and puts Italy in Corridor 1 “Berlin-Palermo” awaiting the construction of the Bridge of the Messina Strait. 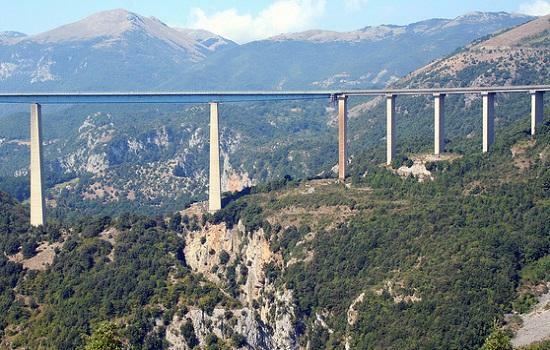 Among Italy’s many spectacular motorways, the A3 Salerno -Reggio Calabria has always had the biggest and greatest variety of high bridges. 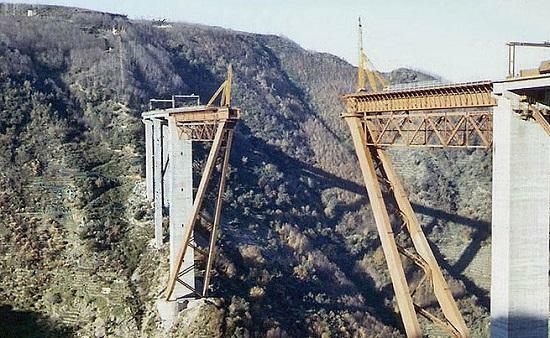 ...this laboratory of Italian civil engineering includes the Sfalassa' gorge strut frame bridge, the Favazzina viaduct (soon to be replaced) with its clothespin shaped piers ..
... as well as more conventional bridges like the Aglio concrete arch and the Coscile precast concrete girder bridge. 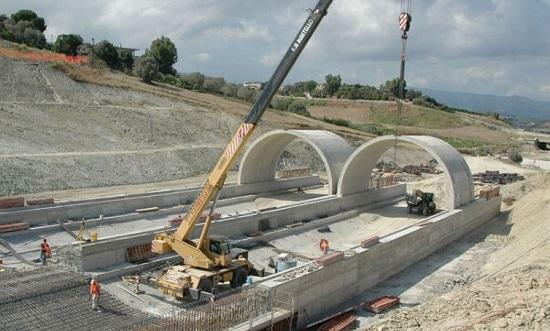 In the Calabria region, near the Mediterranean coast, the lower end of the motorway is being widened and realigned to make it safer and less congested. The last few miles of the motorway traverse some of the most spectacular coastal terrain in all of Italy. 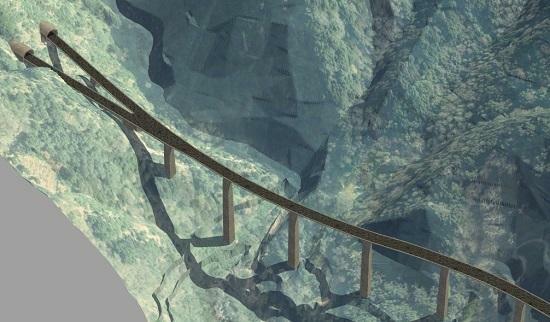 Crossing the deepest of these ravines is the Sfalassà gorge bridge, the highest and longest span frame bridge in the world. Rising 820 feet (250 meters) above the canyon floor, the bridge was the third highest in the world upon its opening in 1974. 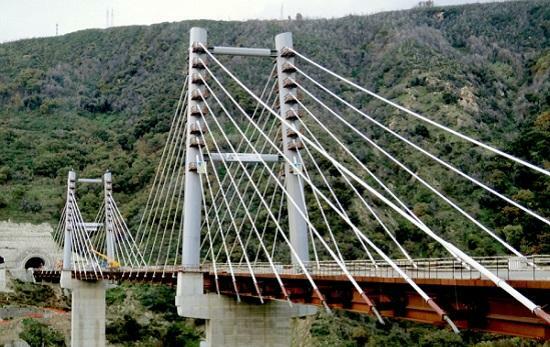 The main span measures 1,181 feet (360 meters) between the pins of the two 500 foot (152 meters) long angled box beam struts. 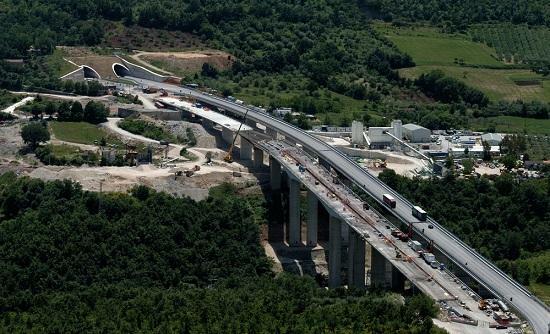 In order to complete the motorway, 13 new projects must be completed, which are now either already in the design phase or ready for construction. 5 projects are related to the remaining 58 kilometers of motorway while 8 projects are related to new interchanges requested by local communities which were not initially foreseen. 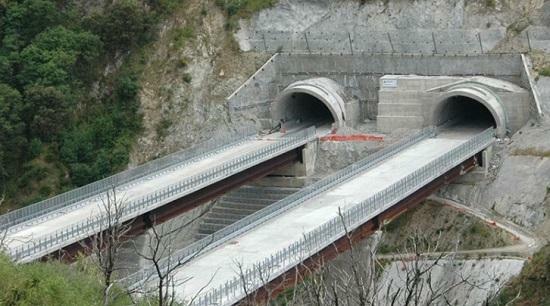 These include the upgrade of the junction with the Salerno-Avellino link (Grancano viaduct). 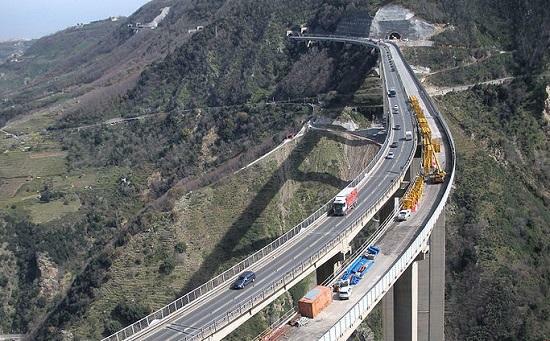 Approximately 4000 personnel and more than 5000 equipment are being used in the construction of the A3 Salerno-Reggio Calabria motorway. Over 700 local companies are supplying raw materials, semi finished products , services and other activities related to the motorway’s construction, occupied approximately 7000 people. 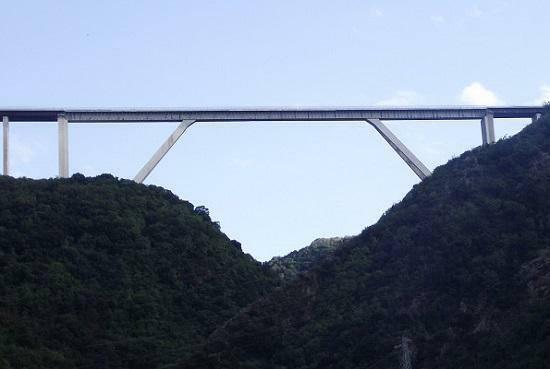 The average length of viaducts and bridges is approximately 160 meters with 74 of them longer than 300 meters. 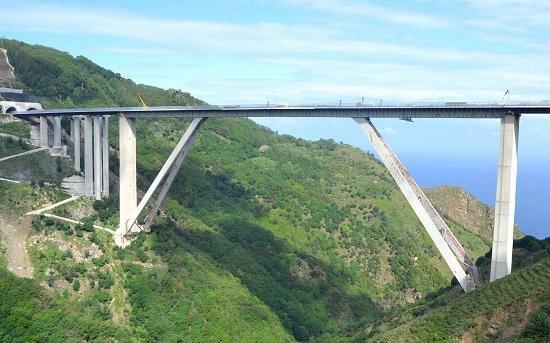 The longest viaduct (Costiera di Pizzo) has more than 1900 meters. Along the entire route 190 tunnels will be built, some of which are artificial, for a total of 47 more than the existing motorway. 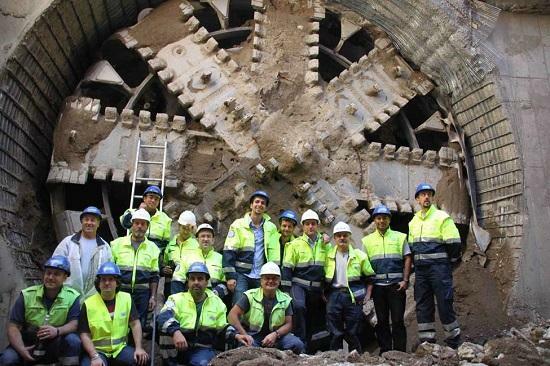 There will be more than 124 kilometers of tunnels, approximately 74 km more than today. Tunnels are on average longer than 600 meters with 95 tunnels longer than 500 meters and 31 tunnels longer than 1000 meters. 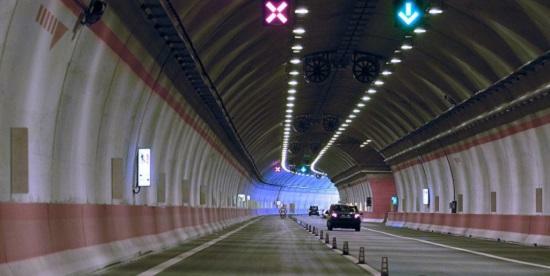 The two longest tunnels in the project (Serra Rotonda South and North) are both longer than 3.900 meters. 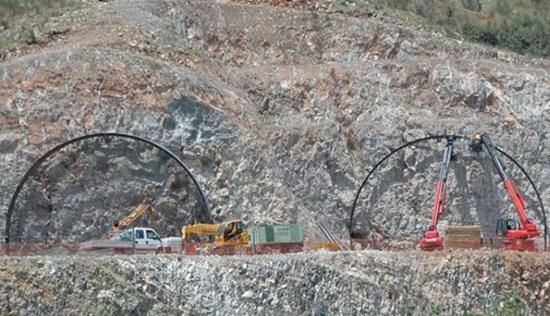 Along the 385 kilometers completed or under construction, there are 134 single tunnels for a total length 108 km. Tunnels are on average longer than 800 meters with 91 tunnels longer than 500 meter and 31 tunnels longer than 1000 meters. The complete refurbishing of the motorway shall not only bring benefit in term of travel times but most of all ensure safer travelling for motorists making the new A3 the safest motorway in Italy. *Commitment to legality: The construction of the new A3 is a large financial endeavor for ANAS that mandates, with the cooperation and support of police forces and the judicial system at large, the constant and firm commitment to fight any infiltration of the organized crime even in the face of repeated threats and sabotages. ANAS has signed a number of agreements with the local Prefectures to monitor and control all construction activities and has obtained the precious assistance of the armed forces, in particular the Italian Army, to secure for a limited time sensitive construction sites. ANAS has also implemented rigorous procedures to monitor material and the production of concrete. 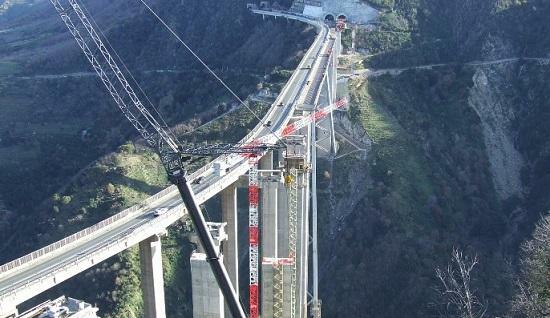 Such commitment and the close cooperation of police forces allowed, particularly in the provinces of Reggio Calabria and Catanzaro, to obtain from the competent Prefectures, 109 restriction orders for construction companies, 62 of which already had contracts and were operating on site. Such restriction orders entailed the forced removal of the companies personnel and equipment with significant consequences on the construction. The first stretch of the road to be completed was the Naples-Pompeii section, finished on 22 June 1929. 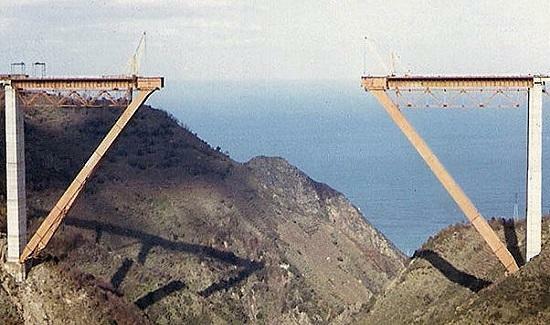 The connection onward to Salerno was completed on 16 July 1961. 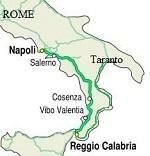 In 1964 the Italian government decided to build a motorway which connected the rest of Italy to Calabria, so far considered a kind of "Third Island" (together with Sicily and Sardinia), due to the nature of its terrain, which made it problematic to reach the region. The new motorway was built in a total of 8 years, the works being delivered on 13 June 1974. The road built by 1974 is more similar to a sub-standard freeway (Italian: strada statale, "state road") than to the other autostrade (motorways) in Italy. Queues became a common feature, especially in summer. To solve the situation, the Italian government funded renovation works in 1997. The cost of the upgrade to date (August 2013) is projected to reach over €10bn by the time it is eventually completed, perhaps by 2018. 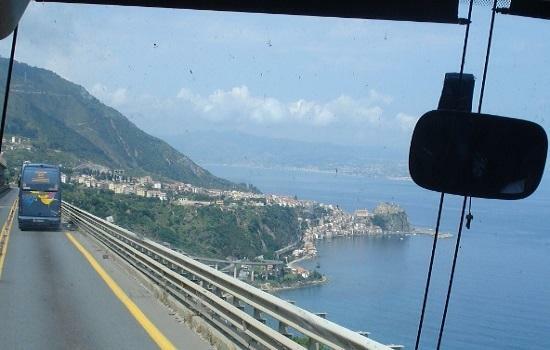 The section from Salerno and Reggio Calabria alone, 442 km long, will cost €10bn with the rest spent on widening/upgrades already completed between Naples and Salerno.